nurseries, early education school and Kids World website. It’s beautiful, feature-rich, customizable, functional and is built with premium plugins and packed with awesome features. 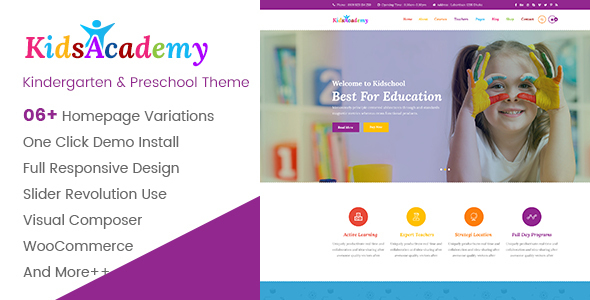 KidsAcademy is the Kids, Kindergarten & Preschool WordPress theme. - fix: "Class Timetable" shortcode's styling and responsive issue. -- add: Gallery Category to gallery shortcode.